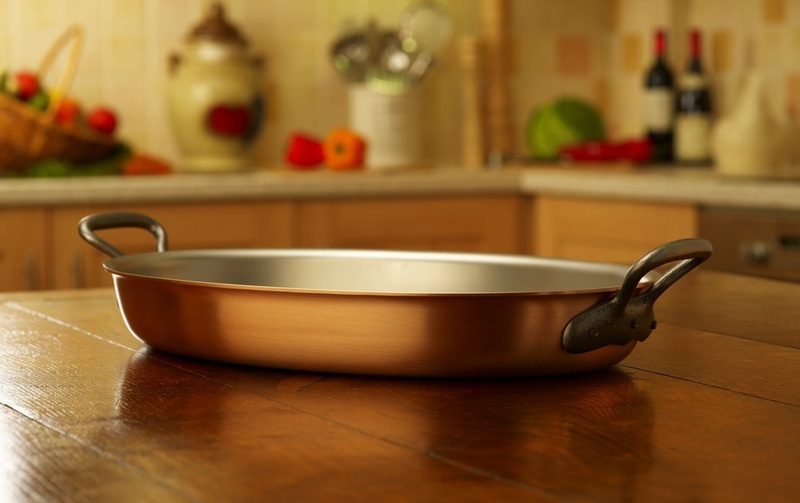 One of our personal FALK copper cookware favourites. For roasting anything, including vegetables, joints meat or fish: not to mention the odd gratin (a dish with a browned crust of say bread crumbs or cheese). Any of these FALK gratin pans in burnished copper will look superb on your table as a serving dish.